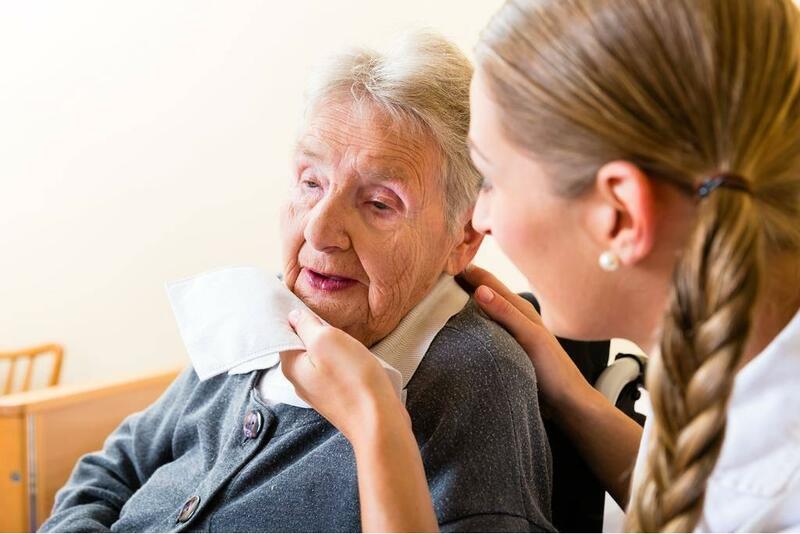 CNAs serve on the front lines of healthcare, providing care to patients in hospitals, nursing homes, long-term care facilities, and assisted living facilities. Their responsibilities range from measuring and recording vital signs to assisting patients with the activities of daily living, such as bathing, dressing, and eating. 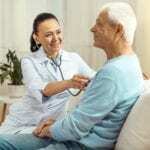 Their duties are mostly non-invasive and limited to those tasks that involve assisting patients with the activities that they cannot do themselves. All CNAs work under the direct supervision of a licensed practical or registered nurse. Apart from executing their assignments efficiently with an awareness of patients’ dignity, CNAs must communicate effectively with patients and members of the healthcare team. They provide emotional and physical support to patients and their families and communicate concerns that can impact patients’ health. The nursing assistant course at the Community College of Aurora prepares students for the State of Colorado Nurse Aide Competency Exam. Students attend classes throughout the week and earn 5 credits at the conclusion of the program. Lectures in the classroom and practical exercises in the laboratory prepare students to provide direct patient care in a clinical setting. The curriculum covers 90 hours in the classroom and 30 hours of supervised clinical experiences and includes instruction in the fundamentals of nursing, communication skills, basic nursing skills, personal care, restorative services, ethical behaviors, safety and emergency care, mental health, and patients’ rights. Applicants must be 18 years or older and must provide proof of immunization, satisfactory criminal record, clear drug screen, and CPR certification before commencing the clinical component of the course. Applicants must also demonstrate English Language competency before enrolling in the program. Tuition is $709.74 and does not include the cost of scrubs, textbooks, and supplies. Arapahoe Community College facilitates a 4-credit hour, 1-semester, part-time nursing assistant program that prepares students for the state competency exam. The part-time only schedule is designed for working professionals. Experienced instructors equip students with all the skills they need to acquire entry-level employment in acute care, long-term care, and hospice care settings. Students receive classroom and clinical instruction in medical terminology, anatomy and physiology, the role and responsibilities of nursing assistants, vital signs, patients’ rights, patients’ independence, restorative and rehabilitative services, mental health, safety and emergency procedures, infection control, communication and interpersonal skills, and transferring patients. Applicants must obtain documentation of 3 hepatitis B vaccinations, 2 MMR vaccines or documented immunity, 2 varicella vaccines and tdap vaccine. Documentation of negative TB or chest x-ray, CPR certification, and criminal background clearance are also necessary for enrollment. Tuition for the program is $844.90. Out-of-pocket expenses include costs of uniform, CPR certification, drug screen, immunization, background check, stethoscope, gait belt, and blood pressure cuff. The nursing assistant program at Pickens Technical College is a 105-hour course that exceeds federal and state requirements. Classroom theory comprises of 75 hours of instruction in basic nursing principles, medical terminology, communication skills, medical terminology, restorative and rehabilitative techniques, patients’ rights and independence, safety and emergency response, death and dying. The supervised clinical practicum comprises of 30 hours of supervised direct patient care activities at local medical facilities. Convenient day and evening schedules are available. Two weeks prior to the commencement of classes, students must complete a criminal background check and TB skin test. The total estimated cost of attendance is $1076.01. The cost includes tuition, fees, and books ($736.85), uniform, gait belt, flu shot, watch with a second hand, and the state board exam fee. APLMED Academy offers nursing assistant students the opportunity to acquire patient care skills from experienced instructors. In both the classroom and clinical settings, students benefit from real-life experiences that will help them develop critical thinking skills to function effectively on the job. The classroom simulates a hospital environment to help students become familiar with a medical setting. Admission to the program will depend on employment history, information on the completed application, the results of a personal interview, and criminal background check. Candidates will be responsible for submitting documentation of MMR, Hepatitis B series, negative TB skin test, and current flu vaccination. Students will need to attend all classes and wear scrubs on all clinical days. Visible tattoos, artificial fingernails, visible body piercings, and jewelry (with the exception of earrings) are not allowed. Graduates are eligible to take the Nurse Aide Competency Evaluation for state certification.